If your piece of Northeast Florida real estate is nobly situated atop a commanding hilltop, you probably won’t run into the issues discussed here because gravity works on your behalf when it comes to plumbing. 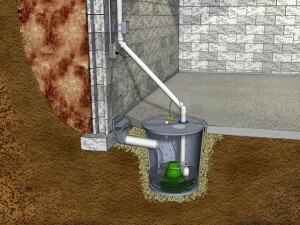 On the flatter elevations, many of us must deal with sumps and sump pumps. Sump pump malfunctions can result in flooded rooms and costly repairs. And it’s also true that sometimes you don’t learn about a sump pump misfire until it’s too late. A sump failure can be an irritating real estate problem whether you’ve just bought or are selling your Northeast Florida home. As a rule, sump pumps are incredibly dependable…until they aren’t. The good news is that just following a few simple precautions will help ensure that you never open a door to discover any of your valuable belongings afloat. Taking steps to avoid sump pump problems will help you avoid an indoor flood—something that’s a real estate plus when it comes to selling your Northeast Florida home (particularly for buyers focused on the possibility of water damage). In any case, if you are preparing your home for sale thisfall or winter, I hope you’ll give me a call!